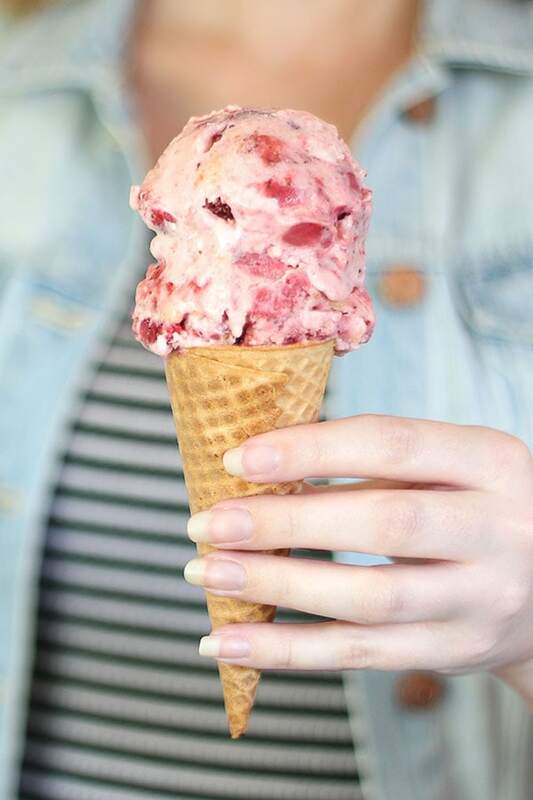 Strawberry Cheesecake Ice Cream is full of fresh strawberry flavor, tangy cream cheese, and crunchy graham crackers making it the perfect summer treat! Taste: It tastes JUST like a strawberry cheesecake, but maybe even more flavorful since we roast the strawberries in this recipe. Texture: Rich and creamy with chunks of fruity strawberries and crunchy graham crackers. Ease: Roasting the strawberries is an extra step, but it’s so worth it and will make your house smell amazing! Pros: One of our all-time favorite fresh summer ice creams. 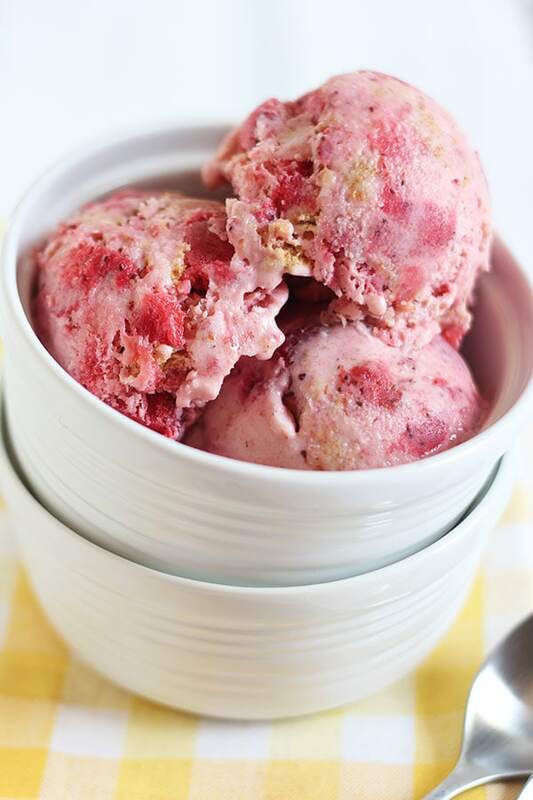 This Strawberry Cheesecake Ice Cream recipe is actually one of our favorites because it’s positively bursting with so much fruity, tangy, and sweet flavor. 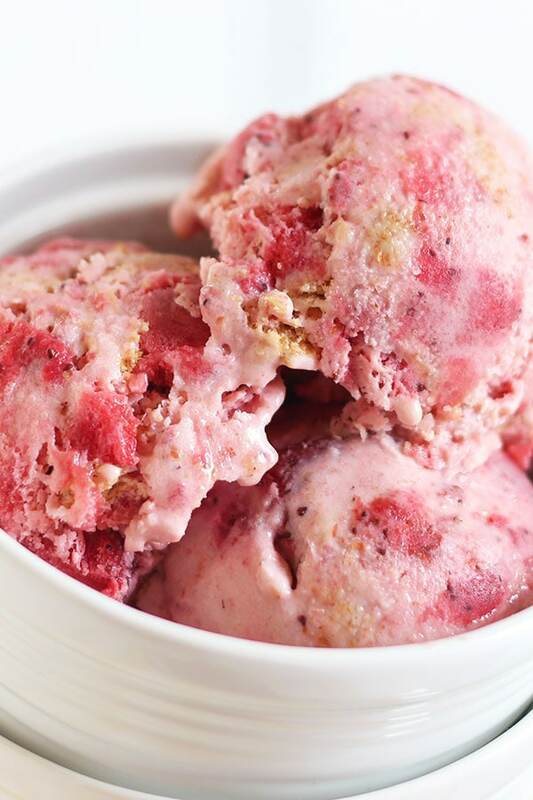 It literally tastes like you turned the best strawberry cheesecake ever into a scoop of ice cream. HEAVEN! Homemade ice cream is one of go-to summer treats. Duh, right? Well when temperatures soar to over 115°F here in Phoenix, ice cream is about all I’m interested in making and enjoying! That’s why I’m so excited to be partnering with REAL® Seal over the coming months to bring you delightful recipes made with real American dairy products that you can trust. You can rest assured that dairy products with the REAL® Seal image (see photo below) are genuine dairy products meeting strict standards and made with milk from cows on U.S. dairy farms. There’s truly nothing like ice cream made with real dairy milk and cream. Since real dairy lends such a rich, creamy, and smooth effect anything else simply pales in comparison. In fact, June is National Dairy Month so this couldn’t be more perfect! Now onto the recipe tips. 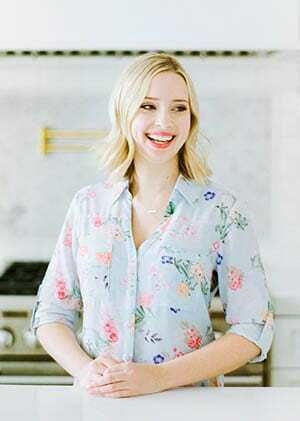 This recipe is totally doable, but I wanted to give you all my best advice and answer any possible questions so you can enter the kitchen with total confidence. One of the stars of this recipe! Want to know my special trick for enhancing the strawberry flavor like nothing you’ve tasted before…? It’s roasting! That’s right, we toss the strawberries with sugar and a tablespoon of balsamic vinegar and roast in a low 300°F oven for about 30 minutes in order to slightly caramelize the strawberries and bring out all their delightful flavor. This also softens the strawberries so we get little bites of strawberry chunks, which I just love! The trick is to do this ahead of time and refrigerate the strawberries until they’re chilled. That way, they won’t melt the ice cream when we add them in at the end. The REAL® Seal milk and cream are the all-stars of this recipe! 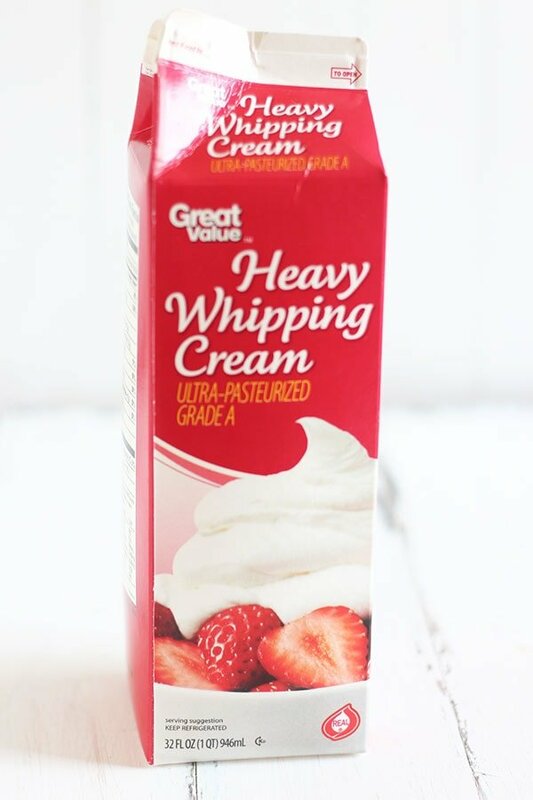 Be sure to use genuine whole milk and heavy cream. No dairy substitutes will perform as well as the real thing. It is ice CREAM, after all! Seriously, though. For luscious ice cream you need to use dairy whole milk and cream. Anything else will be watery, thin, and just not worth the effort. The recipe contains a small amount of corn syrup. Why? Well it helps to prevent the ice cream from crystalizing and getting too hard. Feel free to omit it if you want. Another good trick to prevent fruit ice creams from hardening (because of all the water content) is to add a tablespoon of vodka just before you finish churning. I used my trusty ice cream machine to make this recipe. If you’re using a similar machine, make 100% sure that the freezer bowl is COMPLETELY frozen before churning otherwise you’ll end up with soup. No ice cream maker? No problem. Just follow my tutorial for making ice cream without a machine here. 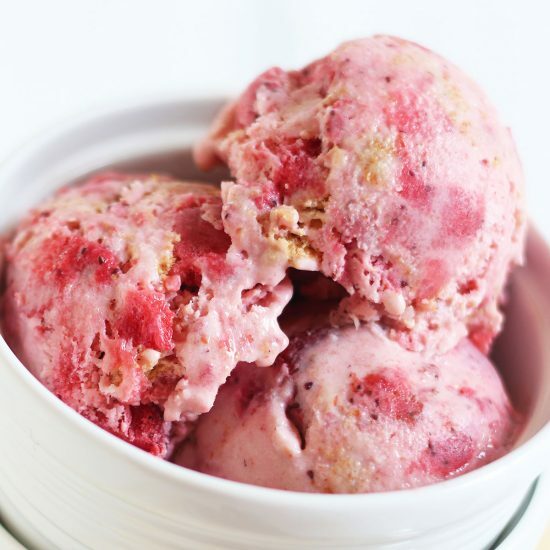 You can make both the roasted strawberries and ice cream mixture up to a day ahead of time. Just store in separate airtight containers in the fridge. Be sure to store the ice cream in a very well sealed airtight container with plastic wrap pressed against the surface. This will help prevent the ice cream from crystalizing. Store it for up to 2 weeks. The longer the ice cream is stored, the more flavorful it will become! However, the longer it’s stored the harder it will become as well. Just leave the ice cream out at room temperature for about 10 minutes before scooping to allow it to soften. Preheat the oven to 300°F. Line a large rimmed baking sheet with parchment paper or a silicone baking mat. Toss the strawberries with 1/4 cup sugar and the balsamic vinegar. Spread strawberries into one even layer on the prepared baking sheet and roast for about 30 minutes, or until the strawberries have darkened in color, are soft, and their juices have released. Transfer the strawberries to a medium bowl and mash until only small pieces of fruit remain. Cover and refrigerate the strawberries until chilled about 1 hour. Meanwhile, in the bowl of a blender or food processor, puree the remaining ice cream ingredients except the graham crackers until smooth. Transfer to a medium bowl and press plastic wrap against the surface. Chill in the refrigerator for at least 30 minutes, or up to 1 day. Pour the mixture into an ice cream maker. Freeze according to the manufacturer’s directions. During the 5 last minutes of freezing, gradually add the roasted strawberries and graham crackers. Transfer the ice cream to an airtight container, press plastic wrap against the ice cream, and freeze until firm and flavor is ripened, at least 2 hours. Strawberries, cheesecake and ice cream? 3 of my FAVORITE things in one! This ice cream sounds so thick and creamy….is it wrong that I want to make a batch FOR DINNER?! Pinned! This ice cream looks amazing!! I love it when homemade ice cream starts with real cream. And the balsamic in there sounds amazing! Love the thought of that crunch, looks so good! Looking forward to make it, look’s fantastic! And ….soooo good. I am totally going to be breaking out the ice cream machine for this!! Just in time for Michigan strawberry season! Perfect timing lady! In your book Cookies and Cream, in the recipe for Coconut Ice Cream, what kind of coconut cream should be used? Sweetened, unsweetened, is it the same thing used to make pina coladas?